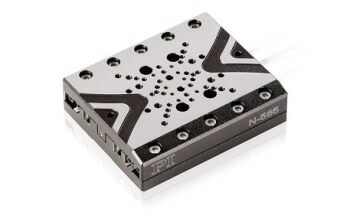 Low power requirements and micro size make PI’s new ultrasonic stages easy to integrate into industry and research applications. The U-521 miniature linear positioner and complementary rotation stages, all driven by patented ultrasonic ceramic motors. Ultrasonic piezomotors are small and provide motion with high resolution, as well as an extremely wide dynamic range from microns/second to 100’s of millimeters/second. A significant advantage over magnetic drive technologies (such as voice-coils, brushless and 3-phase motors, also offered by PI) is the self-locking principle: once the motor reaches a target position, it acts like a ceramic brake and locks the platform into place providing extreme long term stability at zero driving current and heat generation. Mobil / Integration: Due to their low power requirements, ultrasonic motors can also be integrated into mobile measuring and medical devices. Compact and Fast: With the U-521, PI (Physik Instrumente), has now added a compact linear stage to its portfolio with dimensions of 35×35×15mm, similar to the size of a matchbox. The compact design allows easy integration, even when space is limited. In addition to the high speed up to 200 mm/sec, the low inertia (direct drive no rotating parts) allows for a very dynamic start-stop behavior with settling times in the milliseconds. 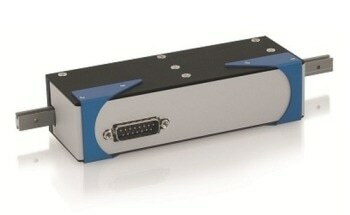 Precision – Closed-Loop: An integrated optical linear encoder provides position feedback with 100 nanometers resolution. Higher resolution versions are available for OEMs. Applications: Typical application fields can be found in industry and research, for example, automatic micromanipulation, positioning of samples or when adjusting optical components, such as objectives and camera lenses. Vacuum-compatible versions (to 10-6 hPa) are also available. 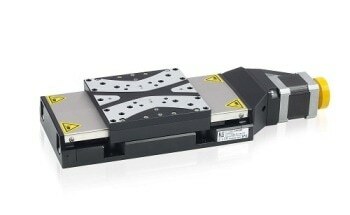 Multi-Axis: Two stages can be combined to an XY-setup – no need for an adapter plate. Rotation: The linear stage is complemented by a number of miniaturized closed-loop rotary stages with diameters from 20 to 50mm. Patented Drive Principle: A compact piezoceramic plate oscillates at 100’s of kHz (inaudible to human ears). 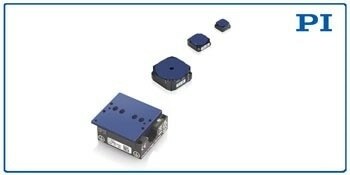 Each cycle transfers a nanometric displacement onto a ceramic runner coupled to the moving carriage. No energy is consumed at rest, no heat to be dissipated, and the servo jitter is eliminated.